If you have a Local hotelier, You know that usually from Food Fighters We remind the importance of getting along with the most popular Internet search engine. 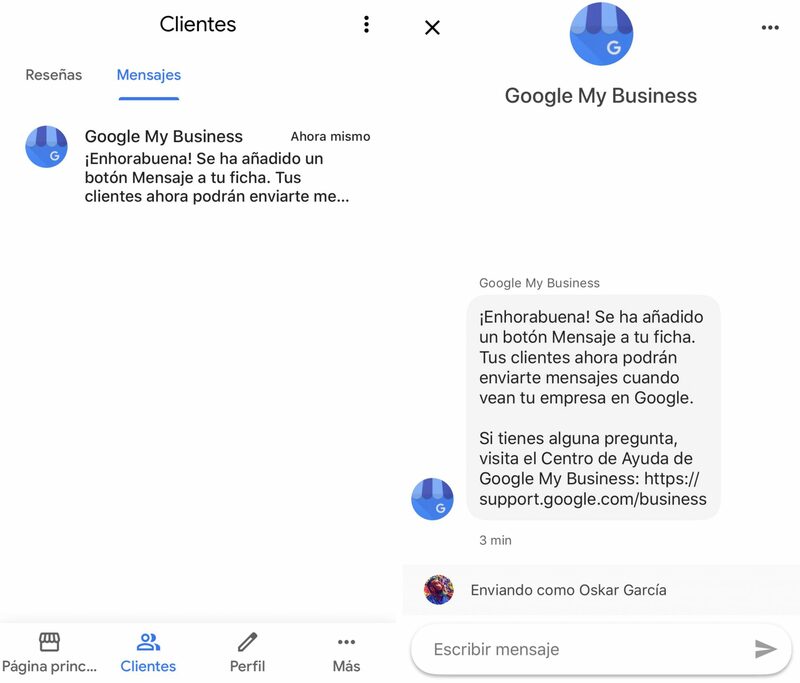 In fact and the reason for this article is that Google continues to implement the new business manager My Business. 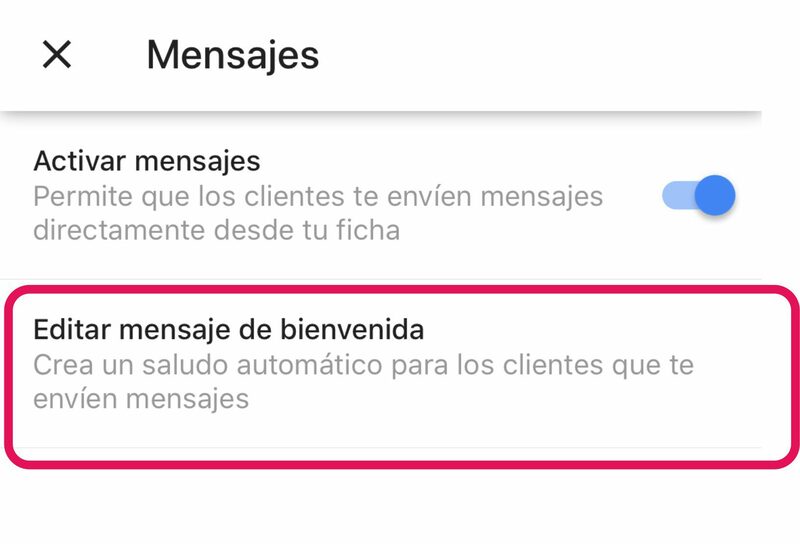 If you already talked about at the time of the "Questions and answers”, positioning aid representing "Publications”, the importance of being able to "Reservations"Directly on the tab or the useful and necessary"Statistics”, Now it's time to do so on Direct messages we would ever manage in real time. 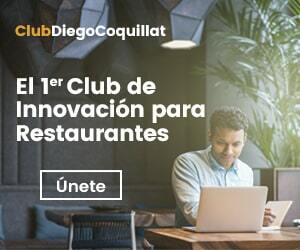 The truth is that the implementation of the messages is a success and it was a necessary progress, at the same time, leaves important chiaroscuro, for example, we find us if we access the My Business tab of our restaurant and click on the "Messages". 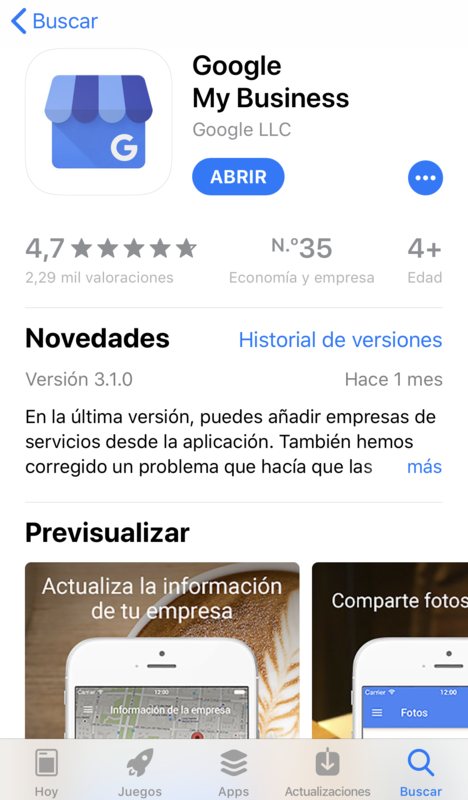 first surprise (and from our point of view, Something inexplicable): To use this facility, We can only do it from a smartphone descargándonos the official app of Google My Business, available for iOS or to Android. Let's previous qualification: Is it bad that we only use the functionality of messages from the smartphone? The answer is the classic "neither yes nor no, but quite the opposite". It is not something bad in itself, in fact, You can improve the speed of response. The problem comes when This same functionality is not operational in the control panel for desktop browsers and that Google forgets that the restaurant may have a communications (or external agency) Why not have all the smartphone take up time or permanently connected and manage the platform via desk for some specific times, which and knowing first hand the hospitality industry in the digital mode, Now we can anticipate that is something to celebrate, spectacular and very difficult to find in stores today. 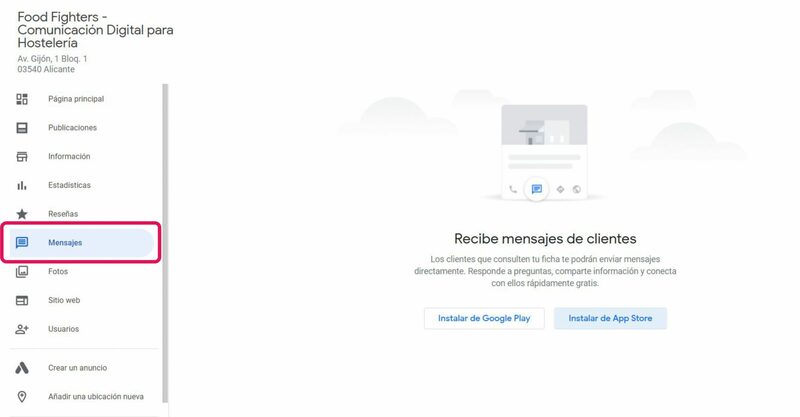 Good, the application (app) Google My Business will allow us, In addition to carrying out some configurations, he respond to messages from clients who find our listing in Google if you activate this option as a button. 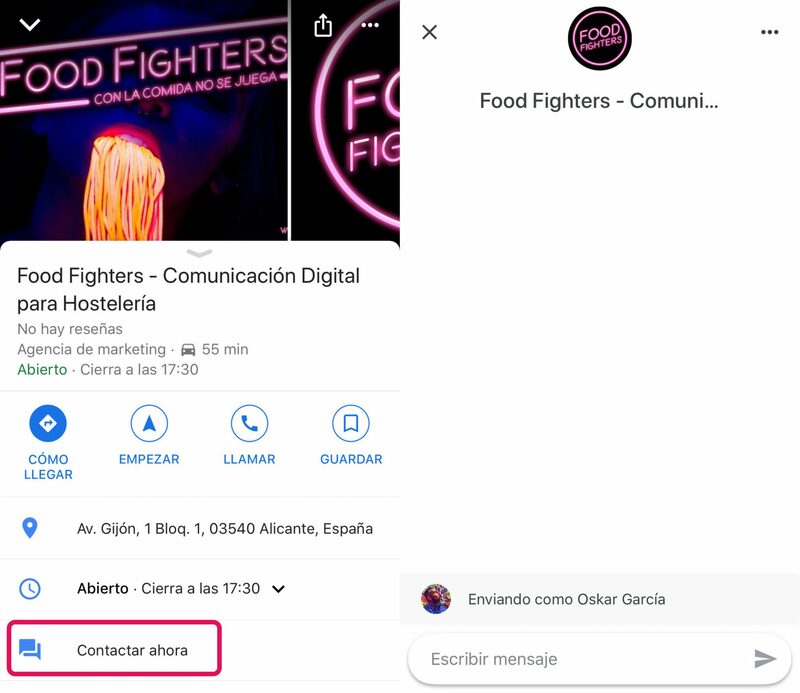 Restaurants can now respond in a direct message to customers and answer your questions, thus improving the perception that the client or potential may come to have business as we all love to be catered fast (and correctly, watch out). For the "reviews" on the other side, the new section "Messages" which is what we intend to activate. To do this we must go to the configuration section by clicking on the top three spots on the right side. 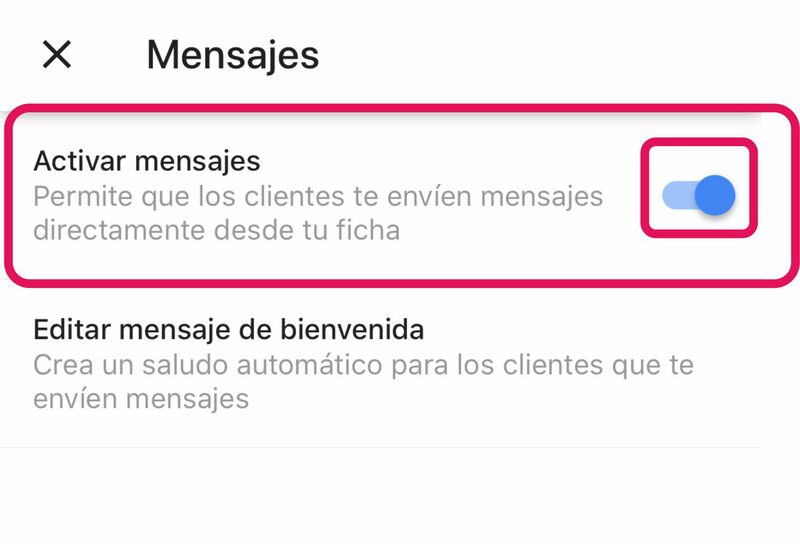 Pressing the tab activate the option to receive messages. 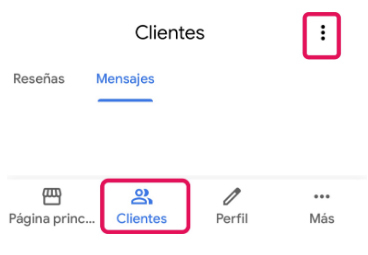 When ActiveMOS messages, customers will see the button “Message” en tu ficha de Google My Business, with which they can send them to you at any time. By the way, this "In a moment, the Message button is included in your record "is not such that so (at least, on the evidence that we made). 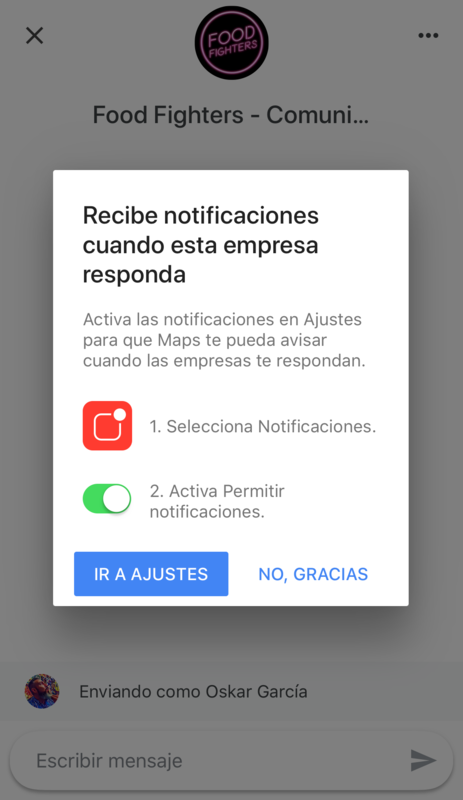 Initially a notification comes in the form of first message that is fast but the subsequent activation button on the tab has been delayed for hours. 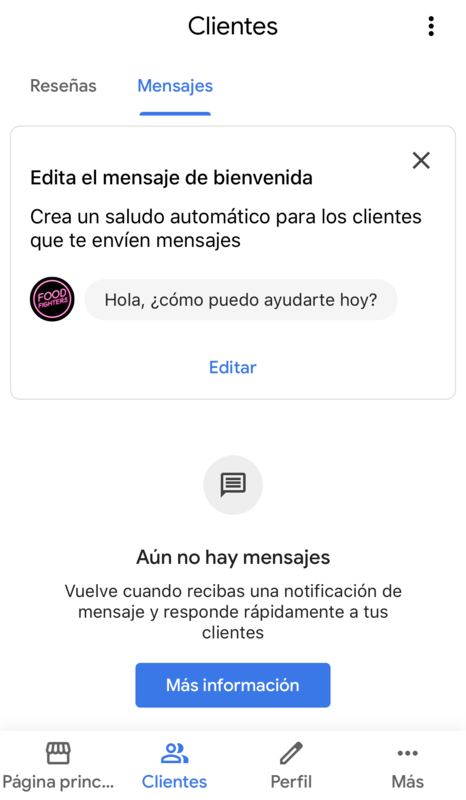 The message will be that we will personalize first thing you see someone trying to communicate us this way (much like the welcome we can activate in Facebook Messenger, for example). 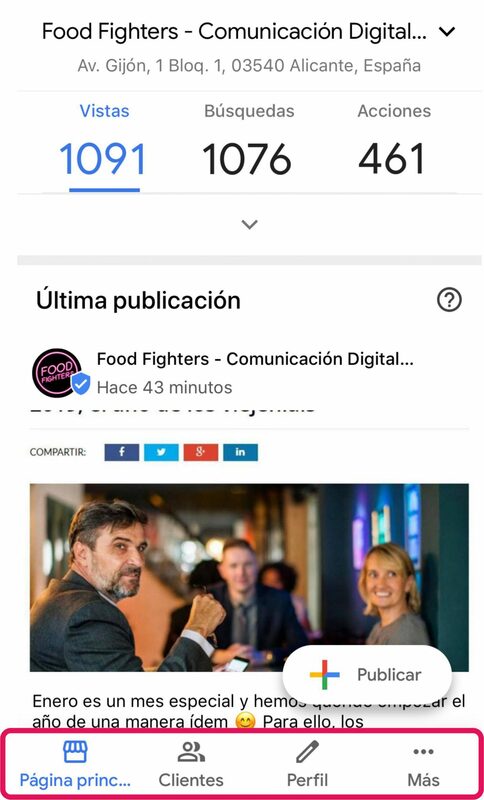 It is important to note that whether you are a client and digital communications manager of the hotel establishment, we have activated alerts and notifications on our smartphone, basically because although we do not have the app installed Google My Business, if as customers have asked a question or issued a comment, Restaurant answer will be notified us with a notice. …Unfortunately, this has not happened. A text confirms that have been activated and sends us messages directly to the application for management. Given that the activation message is optional, This gives us a pattern that we activate this service only if we are sure that we will be able to serve you. Few things annoy more than "talk to infinity" without anyone listen to us and if someone is interested in our restaurant and / or services. If we are not sure that we will be able to attend within a reasonable time, maybe we should give some clue as to the welcome message or, lead the conversation into other channels where our attention to be more active. 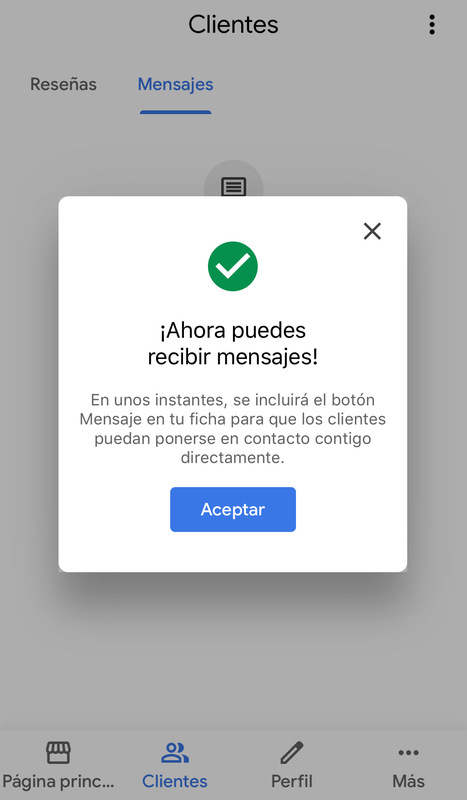 Moreover and as managers, if an event occurred spam or unwanted conversations,comment that from the same dialog and pressing the three set points, we can block the user It is pestering us. And if by chance also have on our business card Google My Business several owners or is being managed by several users, it is good to know that everyone can exchange messages with customers. Comer, Drink, Love and work. We love what we do. Food is not just food. Because, our expertise in hospitality is accompanied by professional proposals as suggestive as the Management Online Presence, reviews, Web development, Branding Gourmet, Training smile or Social Charter. We relate to you and your customers, caring and ensuring that the relationship is appropriate and according to your interests. The only bad thing I see … (I hope to settle it soon).. I, I'm lacking language… is do not translate when another language and even failure, will not let you copy and paste to ultilizar the google translator and thus respond to all customers worldwide. a serious fault that I hope google it resolved soon. so I've had to disable.